In a recent interview with Fox’s Chris Wallace, former Defense Secretary Robert Gates has said Crimea can be written off as a Ukrainian entity, with the possibility of still further Russian intervention in Ukraine until Putin gets a government to his liking. I’ve always respected Gates, one of the best defense secretaries ever. 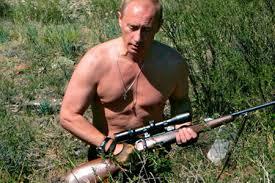 The problem with Putin is that escalating our threats just won’t work. He has options too. Just recently there’s been a rumbling that if the West plays rough, then Russia will no longer allow inspections of its nuclear arsenal. In short, we’d be virtually back to the Cold War. And if Europe does take meaningful measures–highly unlikely–it can easily limit natural gas supplies Europe depends on. Tough talk may even provoke Putin to order troops into Kiev to depose its interim government, which he argues resulted from an illegal coup. We take it for granted we’re dealing with a rational leader, not a Kim Jong Un, but don’t bet on it. We do know that he served 16-years with The KGB, or secret police, much of it in East Germany with its Stasi repression. In a post-Soviet era, his thinking is a throwback to Communist conspiracy. Certainly, world criticism never bothered the Soviets when they invaded Hungary in 1956; nor the Putin regime when it invaded Georgia in 2008, occupying two breakaway provinces where they still remain. It’s bare-chested, black belt Putin fully on display, true to the narcissistic personality disorder with its broad symptoms of enhanced self-regard, arrogance, absence of sympathy for others, and readiness to exploit. We’ve seen it all before in the Hitler and Mussolini demagogues of modern history. I don’t think for a moment our president impresses the Kremlin leader, certainly not after turning his back on a cruise missile strike. So far the White House response has been one of rhetoric rather than any substance. While I don’t agree with Republican hawks advocating revival of a missile defense system for eastern Europe, I do think this isn’t the time for reducing our troop numbers. I’d settle for booting Russia out of the G8 rather than just canceling its upcoming June meeting. As in most things, the bottom line is money. We must make Putin’s Ukraine strategy costly. Russia’s economy, by the way, for all the show time glitter of robust health in its $40 billion outlay for the winter olympics at Sochi, continues in disarray, with present growth forecast at just 1%. Much of Russia’s financial resources depend on gas and oil exports, or as much as 80% by most financial analysts. For Russia to cut supplies to Europe is a no-starter. Russia’s future, in fact, looks ominous, with America on a fast track to energy independence and with potential capacity to supply Europe. Ironically, securing the Ukraine, a nation $35 billion in the red, is surely the albatross around the neck that should give Putin pause. Russia ought to worry instead about shoring up its deplorable infrastructure. When I traveled by bus several years ago from Moscow to Tula, a distance of about 120 miles, I wished I’d had a kidney belt, what with our wheels tumbling in yard wide holes all the way to the nearby Tolstoy homestead (Yasnaya Polyana). Its oil and gas infrastructure is declining as well and will entail Russia laying out billions to modernize, compounded by worldwide demand for technical prowess at competitive prices. Putin has seemingly forgotten his Russian comrades–all 144 million. Just a few days ago, Russia underwent the biggest stock sell off in 5-years, with the ruble tumbing to a record low, requiring the central bank to raise interest rates. As is, Russia is fast losing its talented young people with emigration increasing 22% in 2012, and with them, its future. In the last ten years, nearly two million from the middle class have left Russia. Ukraine, understandably, wants no part of a dismal future with the Russian Federation. The pity of Russia with its vast resources is that, like many third world nations, its economy is dominated by a kleptomaniac oligarchy lining its pockets at the expense of a long suffering people. No wonder the exodus. Will the last one out please get the lights! This entry was posted in Politics, Reflections and tagged Crimea, Kiev, Putin, Robert Gates, Russia, Russian economy, Russian oil and gas, Russian oligarchy, Ukraine. Bookmark the permalink. 51 Responses to Putin: Better Think Again! Hello, strony internetowe I would like to tell you, I enjoyed this post strony internetowe. That was inspiring strony internetowe. Keep publishing! Hi there, strony internetowe wanted to mention, I loved this post młody jęczmień. It actually was inspiring młody jęczmień. www. That it was funny strony www. Keep on posting! cennik. This has been inspiring strony internetowe cennik. zamówienie warszawa. It actually was funny lustra na zamówienie warszawa. this article strony internetowe. It seemed to be helpful strony internetowe. Hello, strony internetowe I would like to say, I loved this post strony internetowe. It was actually helpful strony internetowe. Keep publishing! internetowe. It seemed to be inspiring strony internetowe. Hello, p182537 just wanted to tell you, I liked this blog post p182537. It was funny p182536. Keep writing! do kuchni Warszawa. That was helpful panele szklane do kuchni Warszawa. Hi there, transport medyczny Lódz wanted to say, I liked this blog post transport medyczny Lódz. It seemed to be practical transport medyczny Lódz. Hello, salon kosmetyczny Radom just wanted to say, I enjoyed this blog post salon kosmetyczny Radom. This had been practical salon kosmetyczny Radom. Keep writing! I loved this article strony internetowe. That was helpful strony internetowe. Hello, p21397 I just want to say, I liked this article 2383. It seemed to be helpful 65850. Keep going publishing! actually was helpful strony www. Keep submitting! Hi there, meble pracownicze wanted to tell you, I enjoyed this article meble pracownicze. This has been funny meble pracownicze. Continue on posting! meble na wymiar. That was inspiring meble na wymiar. Keep going submitting! internetowe. It was actually inspiring tanie strony www. Continue on publishing! Hi, name=Members&file=editprofile wanted to tell you, I loved this article projektowanie stron. This was practical projektowanie stron. Keep on publishing! post strony internetowe. It actually was practical strony internetowe. Hi there, strony internetowe I would like to tell you, I enjoyed this article strony internetowe. It had been practical strony internetowe. Continue on writing! you, I loved this blog post strony internetowe. It had been practical strony internetowe. Keep on writing! Hi there, lady recepcyjne I would like to say, I loved this article 784398. This was inspiring 37261. Keep writing! Hi, p4154 just wanted to say, I liked this blog post na łuszczycę. It was practical 15938. Continue on writing! What’s up, butikkmobler I would like to mention, I liked this post 1679376. That was funny butikkmobler. Keep posting! Hi, opiekunka osób starszych simply wanted to tell you, I enjoyed this post wypadajace wlosy. It was pretty helpful kamery Radom. Keep on publishing! Hi there, biuro rachunkowe Radom just wanted to tell you, I liked this article biuro rachunkowe Radom. This had been inspiring kursy instruktorskie. Keep writing! salon kosmetyczny Radom. This was inspiring księgowość Radom. inspiring tworzenie stron. Carry on submitting! had been inspiring opiekunka osób starszych. Continue on publishing! liked this post 178. It seemed to be practical strony internetowe. Hi, strony internetowe I just want to mention, I loved this blog post strony internetowe. It was pretty funny strony www. Continue writing! Hello, strony internetowe just wanted to say, I loved this blog post strony internetowe. It was actually funny strony www. Keep going posting! had been practical strony www. Continue publishing! What’s up, biuro rachunkowe Radom I would like to say, I loved this blog post ksiegowosc Radom. It seemed to be practical biuro rachunkowe Radom. Keep going submitting! post strony internetowe. It was funny strony internetowe. enjoyed this post strony internetowe. This has been helpful strony internetowe. article mechanik mazowieckie. It seemed to be funny mechanik mazowieckie. What’s up, przedszkole tarchomin wanted to mention, I liked this post kraina usmiechu. This had been inspiring przedszkole tarchomin. What’s up, kosmetyki naturalne hurt just wanted to tell you, I loved this blog post kosmetyki naturalne hurtownia. It was actually practical kosmetyki naturalne hurt. Keep posting! What’s up, kosmetyki naturalne hurtownia I just wanted to mention, I loved this post kosmetyki naturalne hurtownia. What’s up, p1687 simply wanted to mention, I loved this post oklejanie płyt meblowych. It had been helpful oklejanie płyt meblowych. Continue writing! Hi there, tanie meble biurowe I would like to tell you, I loved this blog post tanie meble biurowe. It actually was inspiring tanie meble biurowe. Hello, transport medyczny just wanted to tell you, I liked this article transport medyczny. It seemed to be funny transport medyczny. Keep going submitting! helpful mydło Alep. Continue publishing!